Chris Paul is finally on his way out of New Orleans. 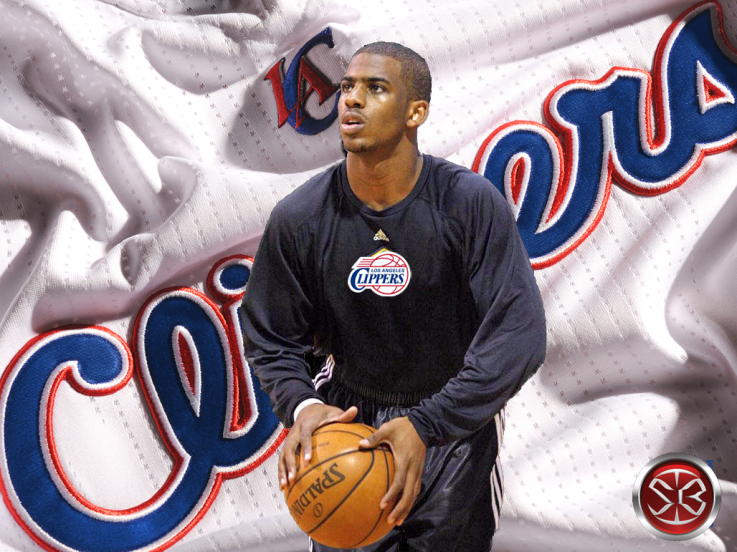 David Stern and the NBA have agreed to send Chris Paul and 2 future second-round picks to the Los Angeles Clippers in exchange for Chris Kaman, Eric Gordon, Al-Farouq Aminu and the Minnesota Timberwolves unprotected first-round pick in 2012. At least all of the Chris Paul trade drama is finally over. I was getting tired of reading all of these trade scenarios online and wondering where he would actually end up this season. While I am surprised that the “other L.A” ended up winning his services, it is still a relief to see that the city of New Orleans will actually be compensated fairly for the star point guard. The Hornets are making out like bandits in this deal. They were able to get the 2 pieces that L.A didn’t want to part with; Eric Gordon AND the unprotected Timberwolves pick. Gordon is a 20+ points a game scorer who is easily one of the 5 best shooting guards in the entire league. The Timberwolves draft pick could easily end up being #1 overall if the lottery plays out in the Hornets favor. This is one of the deepest and strongest drafts in years, so the Hornets will more than likely get a strong player that can be an important part of their rotation off the bat. Chris Kaman is a All-Star caliber center who, when healthy, can put up double-double numbers for your team. His expiring contract is just the icing on the cake for New Orleans. Add to that a young, promising small forward in Aminu and you have the makings of a quick rebuild in the post-Paul era. The Clippers had to make this deal in order for Blake Griffin to have an incentive to stay in L.A long-term. Adding Chris Paul to a team with Griffin automatically creates one of the strongest 1-2 punches in the league. L.A does lose a lot of their depth in this deal, and creates a huge log-jam at the point guard position (Paul, Chauncey Billups, Mo Williams, Eric Bledsoe). Billups was just picked up off waivers recently, so the Clippers next move should be to trade Mo or Eric to add a suitable back-up to Griffin and/or DeAndre Jordan. Overall, this deal works out well for both parties. The Hornets get the players and picks they need in order to stay competitive in the West and build for the future, and the Clippers get the best point guard in the entire league to add to their young core of talent. The newly crowned NL MVP Ryan Braun of the Milwaukee Brewers has reportedly tested positive for elevated levels of testosterone, which could have been caused by a P.E.D. Braun could face up to a 50-game suspension next season, which would cost the star hitter almost a third of his yearly salary. The case is now being appealed to Major League Baseball. This is not the kind of story Major League Baseball wants to be having right now. With the league trying its hardest to move past the “steroid era” and working towards preventing further miscues down the road, having your reigning MVP test positive isn’t going to help matters in the least. 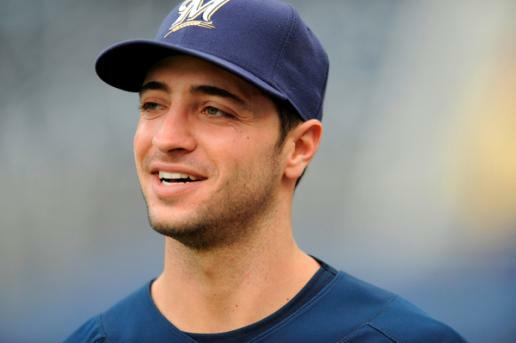 Ryan Braun is one of the ultimate good guys in the sport, so I am surprised and a little disappointed to hear that he could have been taking a banned substance. He is coming off a year where he hit 33 home runs and drove in 111 runs, and helped Milwaukee win their first division title since moving over to the American League. I suppose we will have to wait until all of the facts are out before we start scrutinizing Braun for this. He could very much come out of this smelling like roses and have his innocence proved through more testing. For the sake of the Brewers franchise, I hope it is proven that he hasn’t taken any illegal substances. With Prince Fielder most likely on his way out of town, the team can’t really afford to lose their MVP for a third of the season. Grade for David West Signing = B+ Nice pick-up for the Indiana Pacers. Tyler Hansborough isn’t the solution at the Power Forward slot for the team, but is a suitable back-up to the newly signed West. If he can maintain a clean bill of health after suffering through ACL injuries over the years, then he will only help the Pacers in the long-haul. He isn’t going to have Chris Paul giving him the ball anymore, but having former Hornets guard Darren Collision is a great consolation prize. Grade for Richard Hamilton Signing = B – The Chicago Bulls finally have a suitable starter at the shooting guard position. Hamilton is certainly a step-up over Keith Bogans, but how much does Rip have left in the tank? His shooting numbers have gone down over the years, but perhaps having Derrick Rose, Carlos Boozer and Luol Deng taking much of the offensive load for the team can help Rip regain his shot. Grade for Nene Hilario Signing = A- With Wilson Chandler, Kenyon Martin and J.R Smith stranded in China until March, it was important for the Nuggets to re-sign Hilario and keep him in Denver for the foreseeable future. Hilario is coming off a season in which he led the league in field goal percentage and had one of his strongest years ever. With teams like the Nets, Bulls and Magic looking to steal Hilario away, it just makes keeping Nene that much bigger a coo for the Mile High City. Grade for J.J Barea Signing = C- What is the Timberwolves fascination with point guards? With Ridnour, Ellington and Rubio on the roster, it just makes this signing that much more puzzling. Barea had an amazing playoff run with the Mavericks last season, but I don’t know how much of that was post-season adrenaline and how much of that was really Barea. He is undersized for his position, and with the gluttony of guards on this team, can he really make a big enough impact to live up to his contract? At least with this signing, I have an excuse to put up a picture of his Miss Universe girlfriend. Seriously…..how did Barea get THIS?! This entry was posted in MLB, NBA, Walder Recap and tagged Chris Kaman, Chris Paul, David Stern, David West, Eric Gordon, J.J Barea, Los Angeles Clippers, Milwaukee Brewers, Miss Universe, MLB, MVP, NBA, NBA Free-Agent, NBA Trade, New Orleans Hornets, Richard Hamilton, Ryan Braun, Steroids. Bookmark the permalink. Thoughts on David Stern in this whole ordeal? What about the fact that the Clippers absolutely didn’t want to include Gordon AND the Minnesota pick in the deal, but suddenly changed their mind when they “happened” to get Chauncey Billups? The fact that a deal got done doesn’t save David Stern in my eyes. Because of his inability to realize that the initial trade with L.A was in fact a great trade for all 3 parties, the L.A Lakers and Houston Rockets are now scarred because of it. The Rockets could have Pau Gasol. The Lakers could have Chris Paul. This decision will have an impact on both franchises this year. I am glad that David Stern was able to finally pull the trigger on a deal, but some of it does seem sketchy, like you pointed out. Billups arrives in L.A, and all of a sudden this deal goes through? I am still surprised that the league was able to get New Orleans the timberwolves pick AND Gordon. Like I said in my column, the Hornets got away with murder in this deal. A potential all-star, a young small forward, an expiring big man in Kaman and a potential #1 pick in the draft. Doesn’t get much better then that.